A few year ago these drawings were publiced in a russian blue special in the Netherlands. 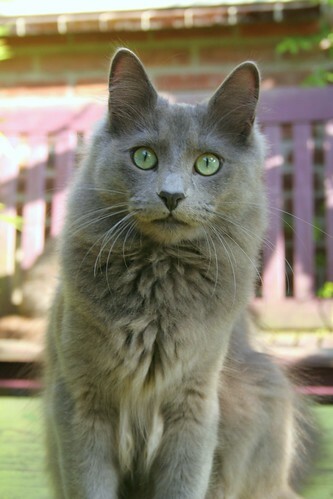 They are very usefull in understanding the Nebelung breeding standard. Cora Cobb helped me with translating the text. Kitty looks good to me!! It's she. It is Cherry. The Grey wrote: It's she. It is Cherry.